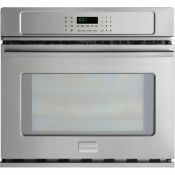 US Appliance carries all of the best oven brands! Find single and double ovens, gas and electric ovens, 24", 27" and 30" ovens, speedcook and convection ovens, and microwave combo ovens. No matter your taste or kitchen decor, we've got the perfect wall oven for you.